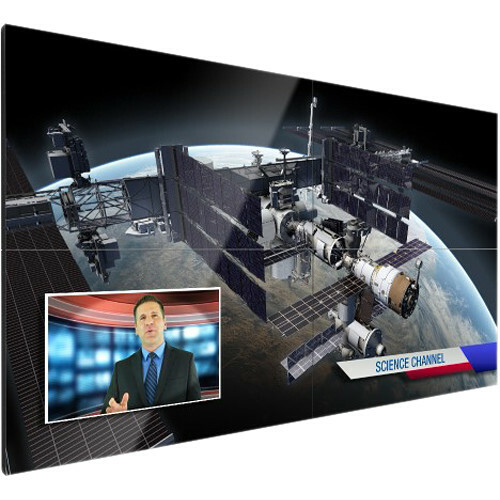 The Extreme-Narrow Bezel LCD Panel from Christie incorporates narrow 1.7mm combined bezel width and is used to create seamless video walls. The brightness and color of each panel comes calibrated, eliminating much of the image adjustments typically required when installing video walls. The Smart Light Control feature can automatically adjust​ the brightness of each panel for uniformity across the entire video wall.